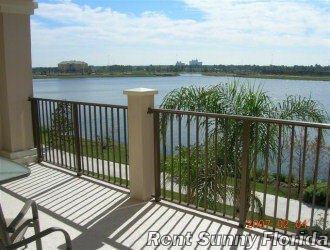 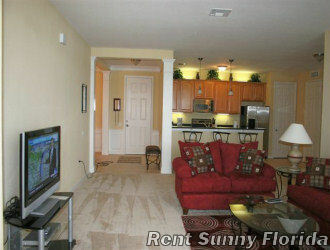 This 3rd floor lakefront luxurious condo is just one building away from the pool and clubhouse. 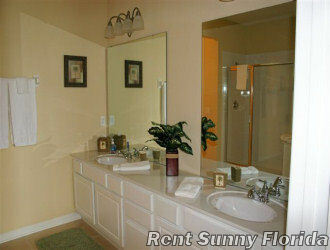 Spacious 3 bedroom with 2 full baths. 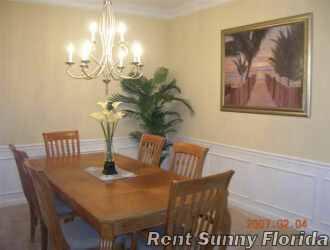 Large bar with barstools along with a formal dining room which can also be used for a meeting area. 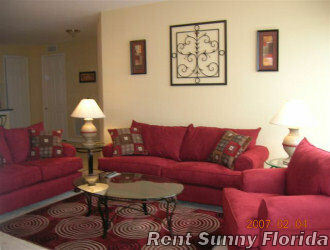 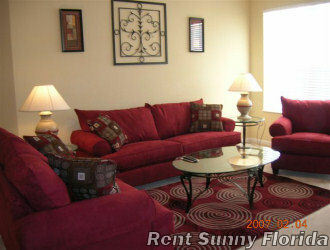 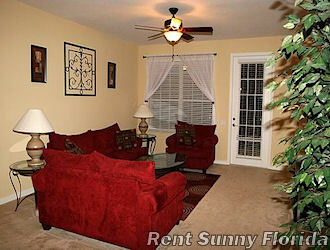 Gorgeous living room with 37" plasma TV, full sofa sleeper, loveseat and chair. 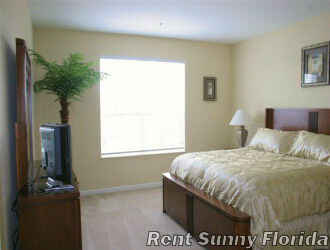 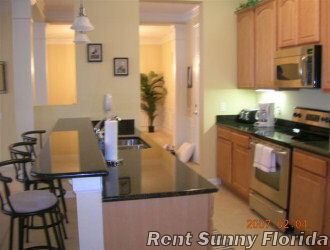 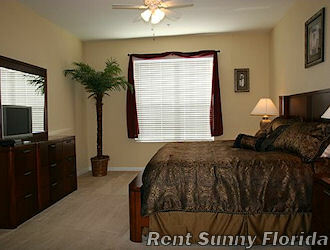 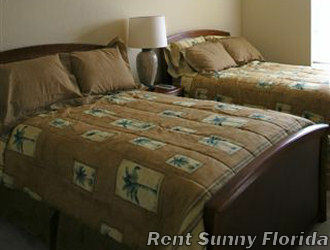 Master bedroom with king bed and 20" LCD TV with full bath, large tub and separate shower, vanity with 2 sinks. 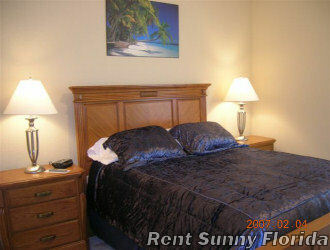 Second bedroom with queen bed and 20" LCD TV also with a lake view. 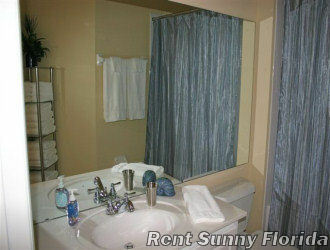 Bathroom with shower/tub. 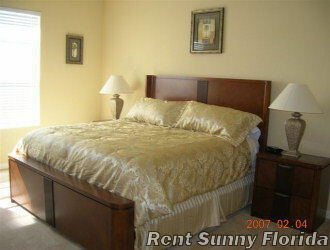 Third bedroom with 2 full beds and a 15" LCD TV. 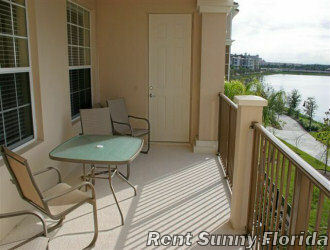 Large walk out balcony overlooking Lake Cay. 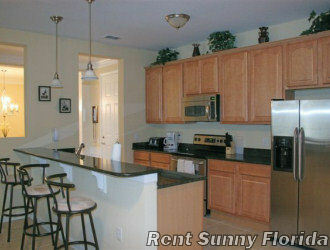 Hi-speed internet, Phone, Air Conditioning, Cable TV, Full Kitchen, Microwave, Dishwasher, Refrigerator, Ice Maker, Cooking utensils provided, linens provided, Washer, Dryer, No Smoking, No Pets.